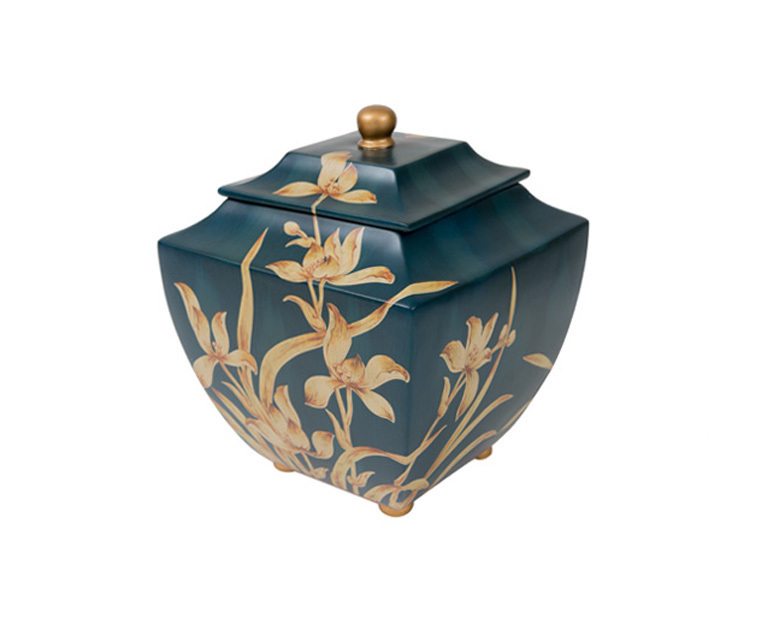 The Orchid Urn series features a unique design and is offered in two deep colors. 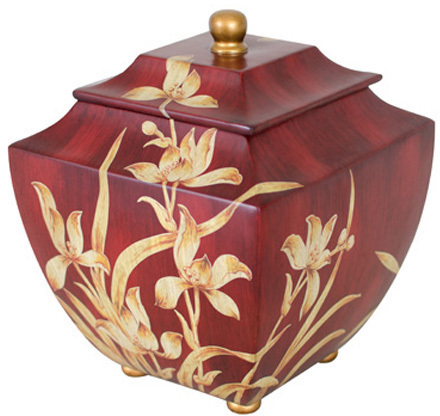 These urns open from the top and have a matching lid that can be sealed when ready. These beautiful urns are made of durable resin, suitable for exterior niches or ground interments. Dimensions: 7.75" x 9.37" x 7.75"